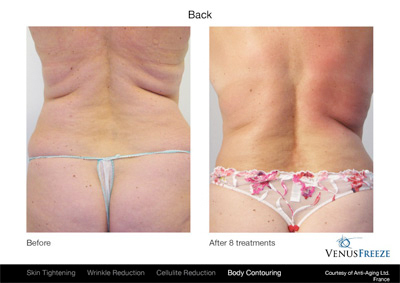 Midwest Skin Institute’s Venus Concept Freeze® is a revolutionary technology that offers non-invasive skin tightening, cellulite reduction and circumferential fat reduction. Freeze® treatments have grown quickly in popularity by providing superior clinical results in a platform that is both safe and comfortable for patients. 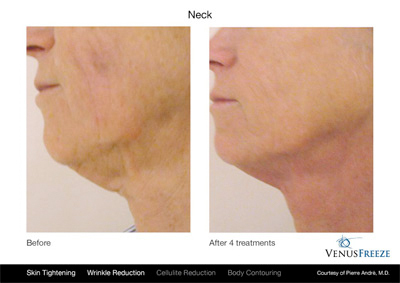 The revolutionary Venus Freeze™ is the First FDA cleared aesthetic technology, and is powered by (MP)², a revolutionary technology that combines Multi-Polar Radio Frequency and Pulsed Magnetic Fields to deliver effective treatments that are painless and require no downtime. What is Freeze? Freeze is the ability to Freeze time! 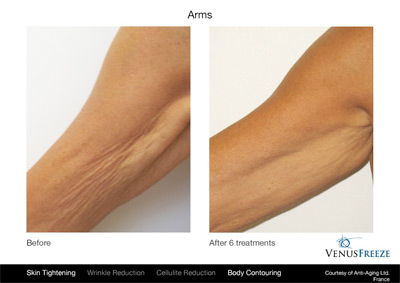 Venus Concept harnesses the remarkable power of multi polar radio frequency (RF) combined with pulsed magnetic fields to create what is known as MP². This unique combination has the ability to penetrate deeply, quickly comfortably and safely into the skin achieving optimum results. Patients can just relax during the treatment feeling only a warm comfortable sensation.